History casts a spell on our minds more powerful than science or religion. It does not root us in the past at all. It rather flatters us with the belief in our ability to recreate the world in our image. It is a form of self-assertion that brooks no opposition or dissent and shelters us from the experience of time. 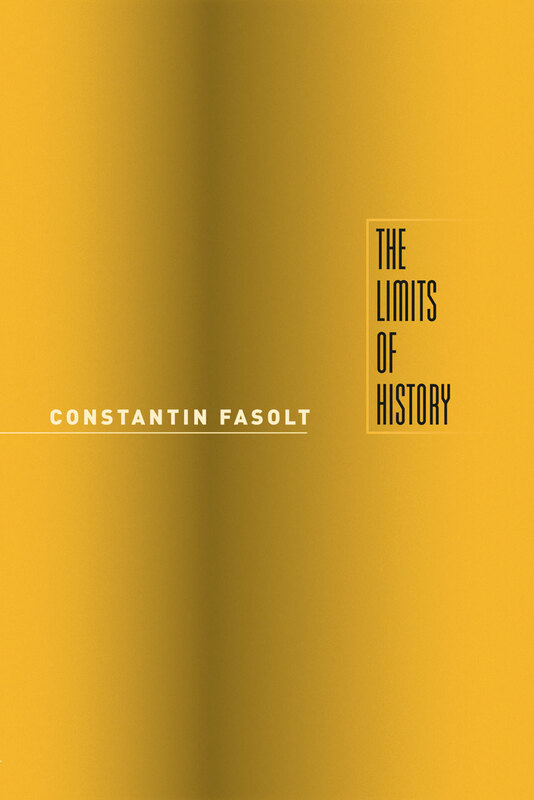 So argues Constantin Fasolt in The Limits of History, an ambitious and pathbreaking study that conquers history’s power by carrying the fight into the center of its domain. Fasolt considers the work of Hermann Conring (1606-81) and Bartolus of Sassoferrato (1313/14-57), two antipodes in early modern battles over the principles of European thought and action that ended with the triumph of historical consciousness. Proceeding according to the rules of normal historical analysis—gathering evidence, putting it in context, and analyzing its meaning—Fasolt uncovers limits that no kind of history can cross. He concludes that history is a ritual designed to maintain the modern faith in the autonomy of states and individuals. God wants it, the old crusaders would have said. The truth, Fasolt insists, only begins where that illusion ends. With its probing look at the ideological underpinnings of historical practice, The Limits of History demonstrates that history presupposes highly political assumptions about free will, responsibility, and the relationship between the past and the present. A work of both intellectual history and historiography, it will prove invaluable to students of historical method, philosophy, political theory, and early modern European culture. "Fasolt argues that all historical study inevitable is limited and distorted, in that it rests on historians’ mostly unexamined political values and beliefs about time, eternity, truth, meaning, freedom, and responsibility. By showing how our political beliefs determine how we understand the past and the present and how we use this understanding to make our choices about the future, Fasolt argues that ’the study of history is in and of itself a form of political activity’ and ’a dangerous form of knowledge.’ . . . He illustrates his argument through an intriguing exploration of the writings of a significant early modern German political theorist and polymath, Hermann Conring (1606-81), especially Conring’s interpretation of the Roman law doctrines of Bartolus of Sassoferrato (1313/14-1357). This erudite, challenging, and highly readable exploration of the limits of historical study opens many controversial and rewarding vistas for historians and philosophers of history alike."